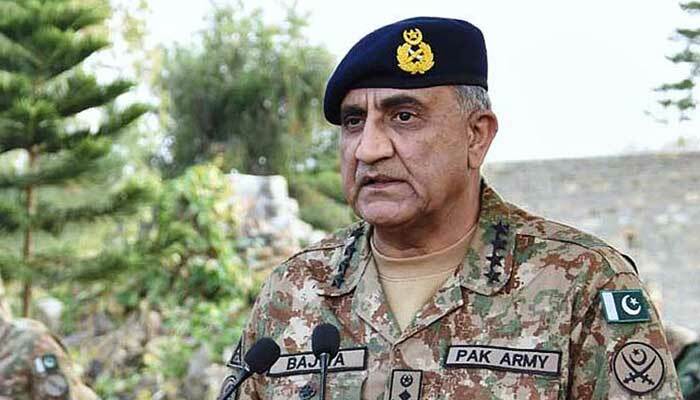 BAHAWALPUR: The Chief of Army Staff (COAS) General Qamar Javed Bajwa said that Pakistan is a peace loving country and wants 'peace within and peace without' in line with the vision of the father of the nation, says an ISPR press release on Wednesday. He visited the formations of the Bahawalpur Corps during their collective winter training, where he witnessed the manoeuvres of mechanised formations of the Pakistan Army, according to the Inter-Services Public Relations (ISPR). The manoeuvres of the mechanised formation were part of the Defensive Corps’ operations against conventional threat. Gen Bajwa expressed his satisfaction with the high standards of training and operational preparedness. Interacting with officers and troops, the army chief appreciated their high morale. The COAS said a well-equipped, well-trained and professionally competent army deters war and guarantees peace. The Pakistan Army is one such force which has become battle hardened through its combat experience against terrorism, he remarked. The Commander of Bahawalpur Corps and Inspector Genera Training and Evaluation was accompanying the COAS during the visit. Later, the army chief also visited a position of an infantry formation in Fort Abbas Sector along the eastern border.